When the Trump administration announced that the Deferred Action for Childhood Arrivals (DACA) program would be terminated, they directed the U.S. Department of Homeland Security (DHS) to reject all initial applications received after September 05, 2017, and reject all renewal applications filed after October 05, 2017. We now find ourselves over a year later and the overall fate of the DACA program remains unclear. Previous DACA recipients may still continue to renew their deferred action. DACA, a program which offers work permits and deportation relief to undocumented immigrants brought to the United States as children, was announced by President Barack Obama on June 15, 2012. From the start, the program met with both excitement and harsh criticism over the program’s legality and how the program was implemented. Under the Trump administration, U.S. Attorney General Jeff Sessions announced that the program would be terminated, causing a slew of lawsuits challenging the program’s termination. 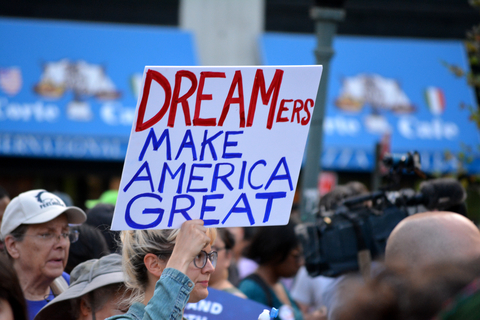 Thanks to multiple lawsuits filed around the United States renewal DACA applications are still being accepted, and eligible applicants are able to renew their deferred action and employment authorization for an additional two years. Status of pending law suits challenging the lawfulness of the termination of the DACA program. Regents of the University of California, et. al. v. Department of Homeland Security (9th Circuit). This was the first case to issue a preliminary injunction requiring DHS to maintain the DACA program by allowing previous DACA recipients to continue to renew their deferred action. This decision was appealed up to the 9th Circuit Court. On November 06, 2018, for the second time, the U.S. Department of Justice sought certiorari before the U.S. Supreme Court, asking the Supreme Court to take the case before the circuit court was able to issue its decision. The first petition for certiorari to the Supreme Court was dismissed without prejudice on February 26, 2018. Two days later, on November 08, 2018, the 9th Circuit issued its decision, which affirmed the lawfulness of the preliminary injunction of the termination and finding that the plaintiffs were likely to prevail on their claim that termination of the DACA program was unlawful. We could know by January 07, 2019, if the Supreme Court decides to take the case. There are two other, similarly situated cases currently pending at the 2nd Circuit Court and at the D.C. Circuit Court: Batalla Vidal, et. al. v. Nielsen, et. al. and State of New York, et. al. v. Trump, et. al, (2nd Circuit) and NAACP v. Trump, et. al. and Trustees of Princeton, et. al. v. United States of America, et. al. The Department of Justice has also sought certiorari before the Supreme Court in these cases, and a timeline in which we can expect a decision from these circuit courts remains uncertain. Status of pending law suit challenging the lawfulness of the DACA program. This case brought by Texas and six other states challenges the lawfulness of the DACA program itself. Included in the suit, the State’ had asked the U.S. District Court for the Southern District of Texas to issue a preliminary injunction to prohibit the government from issuing any new periods of deferred action. Essentially, the States’ requested that the DACA program be shut down while the court decides on question of legality. On August 31, 2018, the court rejected the request for the preliminary injunction. Meaning that eligible applicants may still file to renew their deferred action and employment authorization, for the time being. In its decision the District Court in Texas noted that the injunction would be in conflict with the above noted decisions which have authorized the re-start of DACA (for renewal applications only), and further that the injunction would cause DACA recipients significant hardship. While this is a temporary win for DACA recipients, the Court has yet to issue a final opinion regarding the legality of the DACA program. Judge Hanen, of the U.S. District Court for the Southern District of Texas, reasoned in his opinion denying the preliminary injunction, that the Plaintiff States are likely to prevail on the merits of their claim that that the DACA program is unlawful. At this time, the timeline in which we will receive a decision on this case remains unclear. Individuals eligible to file for DACA renewal should do so as soon as possible.